Belvino Making wine from dried fruit with Belvino winemaking kits is the perfect shortcut for those wanting to make a high quality hedgerow wine, but without all the hassle. 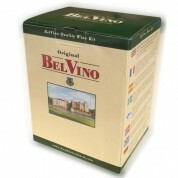 Belvino wine kits make 23 litres of great wine in 7 days. Available in 7 different styles from around the world.